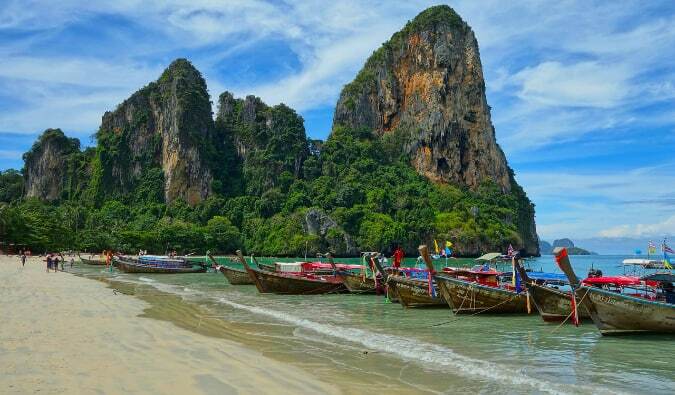 Despite being a hugely popular tourist destination, Thailand as a whole has remained relatively cheap. Outside of a few of the popular tourist islands, it’s easy to live on less than $30 USD (900 baht) per day. Budget rooms cost $6-10 USD per night, you can eat on less than $5 USD per day, drinks are about $2 USD, and sightseeing activities cost around $10 USD. To live on $30 USD a day, stay in guesthouses, eat the delicious local food, avoid lots of expensive drinks, and take local transportation. But even when I splurge, I still barely break $30 USD per day. Most of the time I spend around $20 USD per day. This is a country where drinks cost more than food, so as long as you go light on drinks, you’ll find Thailand quite inexpensive. Even cheaper than Thailand, Bali is a great destination for those looking to avoid spending a lot. In the south, especially around Kuta, you’ll find more rooms for $1,000 USD per night than any other place in the world. However, right next to them are rooms for less than $10 USD a night. Though flights are long and expensive, the island itself is amazingly cheap. Most local meals cost $2 USD while “Western” dishes are about $4 USD. Activities such as snorkeling tend to cost no more than $10 USD. Moreover, once you leave the touristy southern part of the island and go inland, everything gets even cheaper. Even before Greece almost went bankrupt, the country was a bargain. Now, it’s even cheaper. I was shocked at how cheap it was. Gyros cost around $3 USD, you can get a huge lamb dinner for $10 USD, drinks go for around $3 USD, and single rooms can be found for under $15 USD. An expensive night for me in Greece was $55 USD and that included an evening of drinks. In cities like Paris or Amsterdam, a dorm room is at least $30 USD. That’s more than I spent most days in Greece! You wouldn’t think a Eurozone country would be so cheap, but that’s all the more reason to visit. 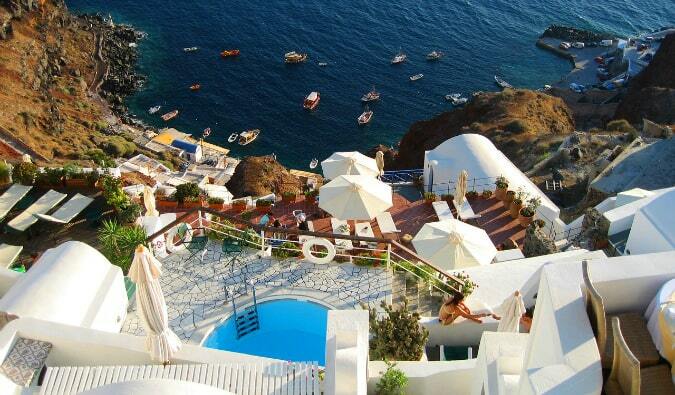 If you want to enjoy Europe on a budget, visit Greece. Most of Central America is pretty cheap, and you can travel on less than $30 a day. Of course, you’ll need to exclude Belize, Costa Rica, and Panama, as they are more expensive (about $35-40 USD per day!). But throughout the other countries in Central America (El Salvador, Honduras, Nicaragua, and Guatemala), you will find most budget hotels for around $10 USD per night, meals for $3 USD, most bus journeys for the same price, and beer less than a dollar. In the central part of Central America, if you are spending more than $30 USD per day, you’re living large! I went to Budapest last year loved it. It was a beautiful, historic city. And cheap. It was a warm welcome coming from expensive Italy. Hostels in Budapest start at 6 euros ($8 USD) per night, and private rooms were double that. Meals at the markets or at the plethora of kebab and sandwich shops are around $2 USD. Trains and buses were just a few dollars. Unless you are going out for a big night of drinking, $30 USD will give you plenty of room to enjoy the sites and sounds of Budapest. 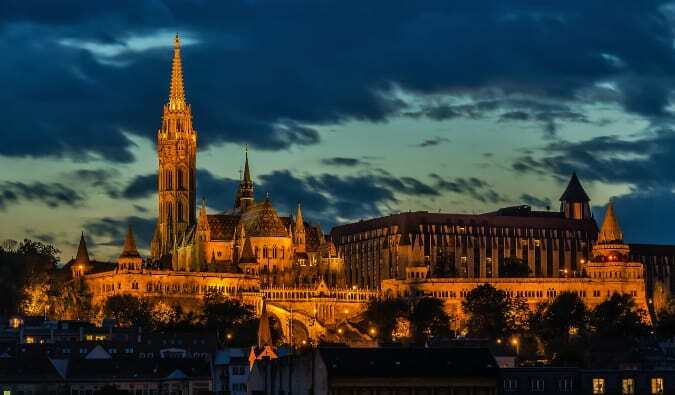 Budapest is a great alternative to more popular destinations like Prague or Vienna. There are many great destinations in the world that don’t cost a fortune. While some of these destinations might be expensive to fly to, once you get there, they are cheap as hell. If you want to go somewhere else, here’s how to pick a cheap place: avoid the major tourist destinations, think outside the box, use an economic crisis to your advantage, or get off the beaten path and you’ll find value throughout the world.